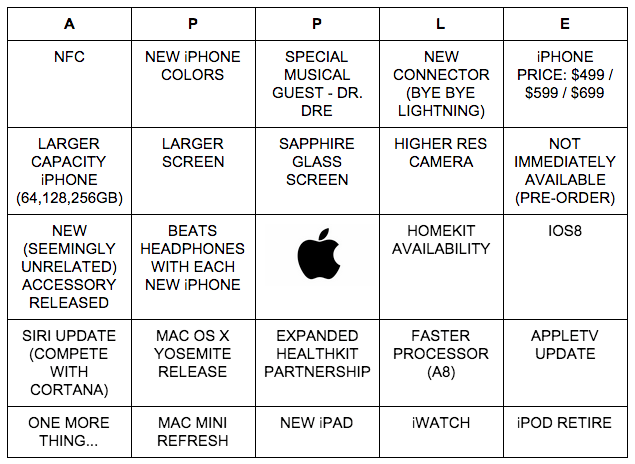 Here’s my BINGO card for the Apple event on September 9th. Play along with me – let’s see who wins. Our technology writers will be following the livestream of the announcements direct from the Apple website. Afterwards we (along with every other publication on the planet) will dissect all that Tim, Jony, Phil and Dr. Dre tell us about the next installment of Apple gear! Ling & Lee Are Coming Home !